Widespread international concern about the spiralling number of nuclear weapons in the world led to the establishment of the NPT in 1968, a UN treaty which sought to prevent the proliferation of nuclear weapons and bring about eventual disarmament. During the 1960s there was an increase in international state-level opposition to nuclear weapons. In 1961, an Irish resolution calling on all states to conclude a nuclear weapons agreement was adopted unanimously at the UN General Assembly. By 1965, Sweden and India were leading attempts to halt proliferation and limit the nuclear weapons capability of the nuclear weapons states. In the autumn of that year, both the United States of America and Soviet governments submitted draft non-proliferation treaties to the General Assembly, motivated by the desire to limit the spread of nuclear weapons, rather than being a process of disarmament. Negotiations began which eventually led to the NPT being adopted. While the treaty actually consists of eleven articles, it is more commonly understood as having three ‘pillars’; non-proliferation, disarmament and the right to develop nuclear energy. Five nuclear weapon states (China, France, Russia, the UK and the USA) are recognised in the treaty. All other signatories are understood to be non-nuclear states and pledge not to acquire nuclear weapons, while the nuclear weapon states commit not to transfer nuclear weapons to any non-nuclear state, or support them getting these in any way. This is the non-proliferation pillar. The treaty explicitly states the right of all signatories to develop and use civil nuclear power – the third pillar. Many states were dissatisfied with the outcome which was seen to perpetuate nuclear inequality between nations. The treaty effectively meant that non-nuclear weapons states agreed to remain so while the nuclear powers could hold on to their weapons for the time being. India, for example, refused to sign on this basis and still hasn’t to this day. 190 countries have signed however, although North Korea withdrew from the agreement in 2003. Eventually coming into force in 1970, the ultimate aim of the treaty is global disarmament, although it does not include a process for making that happen. Four countries which haven’t signed are known or assumed to possess nuclear weapons – as well as North Korea and India, Pakistan and Israel are not signatories. These states have been called on to join the NPT but they can only do so as non-nuclear weapon states and so would be required to give up their nuclear weapons first. The NPT is reviewed every five years at international conferences. The latest review conference took place in 2015, but ended without agreement. CND was present and noted the lack of willingness on behalf of the nuclear weapon states to even consider concrete steps towards getting rid of their nuclear arms. It is in the context of frustration with the NPT process that the international initiative on the humanitarian impact of nuclear use – the precursor to demands for a global ban – began. It culminated in a treaty prohibiting nuclear weapons. The United Nations adopted a historic international treaty banning nuclear weapons in July 2017. The new treaty will make it illegal under international law for signatories to develop, test, produce, manufacture, acquire, possess, stockpile, transfer, use or threaten to use nuclear weapons. It also makes it illegal to assist or encourage anyone to engage in these activities. It can be said that this treaty’s roots are found in the 2010 NPT Review Conference’s final document, which officially expressed ‘deep concern at the catastrophic humanitarian consequences of any use of nuclear weapons’ for the first time. Following this, a group of countries began delivering joint statements on the humanitarian impact of nuclear weapons. By 2013, over a hundred governments had joined the initiative and a series of conferences was arranged. 155 states attended the Vienna Conference in 2014, including the United States and UK. The conference concluded with the hosts delivering a historic pledge to ‘identify and pursue effective measures to fill the legal gap for the prohibition and elimination of nuclear weapons.’ On 7 December 2015, the United Nations General Assembly adopted the Pledge in the form of Resolution 70/48. Of the 168 nations that cast a vote, 139 were in favour. The United Kingdom voted against. Two negotiating conferences to conclude a new international treaty that would prohibit nuclear weapons were ultimately arranged. Representatives from over 130 countries took part, while the UK continued to boycott the process and stood alongside the US Ambassador in denouncing the talks. The final text was adopted in July 2017 with 122 countries voting in favour. Article 1 is a comprehensive ban on nuclear weapons and other related activity. The list of prohibitions includes the use, stockpiling, testing, production, manufacture, stationing and installation. Article 1 also bans assisting with prohibited acts, such as the United States leasing Trident missiles to the UK to carry nuclear warheads. It will also be illegal to allow nuclear weapons to travel through territorial waters or airspace. The treaty opened for signature in September 2017 and will enter into force 90 days after 50 states sign and ratify. Once this happens, the treaty is legally binding on those states that have signed and ratified it. It is not binding on states that remain outside the treaty though. States can sign while they still have nuclear weapons, provided they are removed from operational status and have a transition plan in place for eventual disarmament. 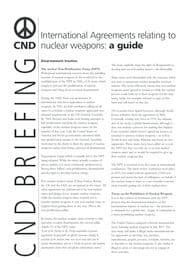 CND is lobbying the British government to sign the treaty. One of the conclusions of the 2010 NPT review conference was a resolution ‘that the US and Russia commit to seek the early entry into force of the new START’. The original START was signed by the US and Soviet Union in July 1991, building on earlier arms reduction and limitation treaties between the two superpowers. After the dissolution of the Soviet Union, the ‘Lisbon Protocol’ was signed to include Ukraine, Kazakhstan, and Belarus in this treaty. The Soviet Union had 3200 nuclear warheads in these three member countries, weapons which were then either scrapped or sent to Russia. START I limited the number of heavy bombers, intercontinental ballistic missiles (ICBMs) and submarine launched ballistic missiles (SLBMs), to 1,600 in total. These delivery systems were then limited to deploying no more than 6,000 nuclear warheads. START I expired in December 2009. START II and III never entered into force. Signed in 1993 by the US and Russia, the START II treaty aimed to decrease the number of warheads possessed by both countries even further and ban the use of ICBMs with the capability to simultaneously fire at multiple targets. A framework for a START III treaty was agreed in 1997. It proposed a limit of between 2,000 and 2,500 warheads for each country. Significantly, it also proposed the destruction of the excess warheads and suggestions for cuts in tactical weapons. Negotiations never started after Russia withdrew in response to the US’s withdrawal from the Anti-Ballistic Missile Treaty in 2002. A new START treaty, officially named ‘Measures for the Further Reduction and Limitation of Strategic Offensive Arms’, was signed by the US and Russia in April 2010 and entered into force in February 2011. This treaty commits the signatories to reducing their number of deployed nuclear warheads to 1,550 with a limit of 800 deployed and non-deployed ICBM launchers, SLBM launchers and heavy bombers. 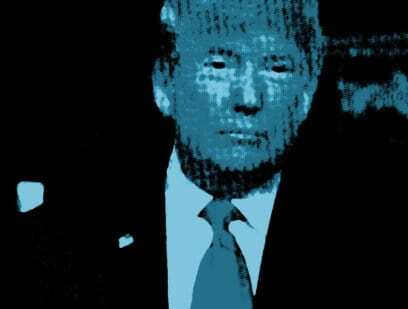 A drawback of this new treaty is that it does not address both countries’ substantial stockpile of nuclear weapons or set out what should be done with the excess warheads and delivery vehicles. Signed in Moscow in 2002, SORT was a treaty in which the US and Russia agreed to limit their nuclear arsenal to between 1,700 and 2,200 operationally deployed warheads each. It was eventually superseded by the new START. SORT differentiated from START as it limited overall operationally deployed warheads rather than limiting warheads on the basis of their delivery system. But the treaty was criticised for not having any verification mechanism to confirm the reductions had taken place. The INF treaty, as it became known, was signed in 1987 by the Soviet Union and US and entered into force in June 1988. The treaty agreed elimination of each side’s ground-launched ballistic and cruise missiles with a range of 500-5,500 km. It also allowed for verification of the reductions. The treaty related to nuclear-armed missiles being deployed tactically by both sides and aimed at European targets. The treaty’s purpose was to halt a nuclear arms race between the two sides after the US deployed nuclear-armed Pershing II and cruise missiles at bases across Europe on behalf of NATO, in response to Russia’s deployment of SS-20 ballistic missiles. There was widespread public protest against US nuclear weapons being deployed at European bases. In the UK the RAF base at Greenham Common, Berkshire became the site of a women’s peace camp for 19 years until the weapons and eventually the base itself were removed. The Soviet Union had destroyed 1,846 weapons and the US had destroyed 846 weapons by the treaty’s deadline in 1991. The treaty continues to ban the possession of such weapons by either side and since the break-up of the Soviet Union, Ukraine, Belarus, Kazakhstan are also active participants in the agreement. Turkmenistan and Uzbekistan are also parties to the agreement. Both the USA and Russia have been accused of violating the treaty in recent years. Amid growing concerns about the environmental and health impacts caused by the radioactive fallout from extensive nuclear weapons testing programmes in the 1950s, this treaty entered into force in October 1963. The PTBT bans nuclear weapons testing under water, in the atmosphere and in outer space. France, China and North Korea have not signed the treaty. After the PTBT came into force further atmospheric nuclear weapons testing was carried out by France in 1974 and China in 1980. The TTBT and PNET are two bilateral treaties negotiated concurrently between the US and former Soviet Union which capped the explosive power at 150 kilotons for both military test purposes (TTBT) and civil test purposes (PNET), for example for mining or quarrying or creating dams. The TTBT was signed in 1974 and the PNET was signed in 1976; both treaties finally entered into force in December 1990. The Partial Test Ban Treaty does not ban underground nuclear weapons testing and so the nuclear weapon states continued developing and improving their warheads by this means. This kind of underground testing still meant environmental damage and contamination, however, with each test creating highly radioactive underground caverns and much radioactive gas and dust which could escape into the air. The US, France and Russia announced a moratorium in 1992 (though France conducted a further six tests between 1995 and 1996). Britain, which had used the US Nevada site for many years, joined in. From this the CTBT was eventually negotiated and opened for signature in 1996. Although it has been signed and ratified by most states in the world, to enter into force it still needs to be ratified by all 44 of the states identified as having nuclear power or research reactors (and thus the potential capability to produce nuclear weapons). Of these states, Pakistan, North Korea and India have not yet signed. The United States, China, Egypt, Iran and Israel have signed but not ratified the treaty. Until the CTBT enters into force, there is always the chance that nuclear weapons testing will be resumed by the nuclear weapon states to further advance their arsenals. Moreover, without such a treaty, other non-nuclear weapon states have the possibility to carry out such tests with a view to developing a nuclear weapons capability. Even though there have been no nuclear tests this century, the weapons are still very much in existence. So how is the technology tested? By simulating a nuclear explosion using technology such as super-computers, x-ray photography and lasers. No treaty or agreement exists to ban simulated testing, although researches have raised serious concerns about the practice. Virtual testing results in disconnecting the technology of a nuclear bomb from the reality – it becomes possible to forget that this is a weapon of mass destruction able to kill millions and cause immense suffering. Simulated testing in a controlled, scientific environment can also give the illusion that this technology is something we can control, a thought not possible when witnessing an actual explosion. This multilateral agreement entered into force in 1967 and bans the siting of weapons of mass destruction in space. In particular, nuclear and other weapons of mass destruction may not orbit the Earth, be installed on the Moon or other celestial bodies. All nine states believed to have nuclear weapons are parties to this treaty. There are five large areas in the world that have been designated nuclear weapons-free zones under special treaties: Central Asia, Latin America and the Caribbean, the South Pacific, Southeast Asia and Africa. Countries within these zones agree not to develop, test or possess nuclear weapons. Additional nuclear weapons-free zones have been agreed for Antarctica and the seabed. Mongolia has declared itself nuclear weapon-free, a status which has been recognised by the United Nations. This agreement was signed in 2006 and designates Central Asia a nuclear weapons-free zone. In return for the countries in the region agreeing not to have nuclear weapons, the nuclear weapons states as recognised by the NPT have agreed not to threaten them with nuclear attack. This agreement came into force in 1969 and commits all 33 states of Latin America and the Caribbean to remain free of nuclear weapons. The five declared nuclear weapons states are committed not to undermine the treaty. Signed in 1985, this treaty prohibits nuclear explosive devices in the South Pacific, as well as banning the testing and use of nuclear explosive technologies. All of the declared nuclear weapon states –apart from the US, which is yet to ratify – have agreed not to make, store or test nuclear weapons in the region as part of the agreement. This agreement commits ten Southeast Asian nations to a region free of nuclear explosive devices. However, none of the nuclear weapon states have signed yet, largely due to objections about what territory is covered by the treaty. The African states became an official nuclear weapons-free zone in 2009, with the entry into force of this agreement. Again, the US is yet to ratify its side of the bargain – to agree not to test nuclear weapons in the region or threaten Africa with nuclear attack. Since 1961, this agreement has obliged the international community to only use Antarctica for peaceful purposes. This means that the testing of nuclear weapons is banned, along with the disposal of radioactive waste. This agreement entered into force in 1972 with the purpose of forbidding the siting of nuclear weapons and other weapons of mass destruction on the seabed or ocean floor over 12 miles away from any coast. The Mongolian government declared itself a Single State Nuclear Weapons-Free Zone (SS-NWFZ) in 1992. This UN recognised status came into force in 2000.